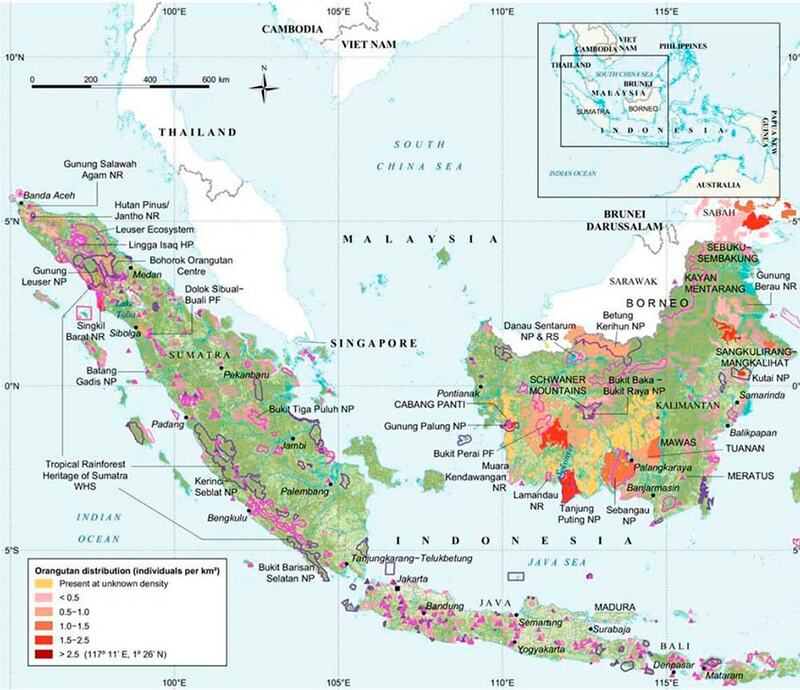 Indonesia is home to both the Sumatran and the Bornean orangutan. The Sumatran orangutan is endemic to the northern regions of the island of Sumatra. Wild populations have declined dramatically in recent years due to habitat loss and agricultural expansion, and the Sumatran orangutan has been classified as “critically endangered” by the IUCN Red List since 2000. In Kalimantan, Indonesian Borneo,the majority of wild orangutan populations are located outside of protected areas, in forests that are exploited for timber production or in the process of being converted to agriculture. Both orangutan species have declined rapidly since the mid-20th century due to human activities which include hunting, unsustainable (often illegal) logging, mining, and the massive conversion of forests to agriculture. Man-made forests fires to clear land have also devastated wild populations. The 1997-98 fires in Kalimantan killed an estimated 8,000 orangutans.